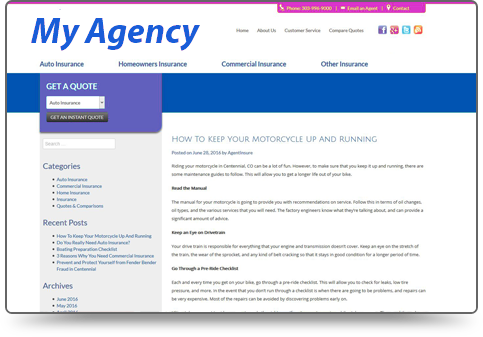 As an insurance agent, you don’t want just any website. You want a website that helps you run your agency more efficiently, and that is part of your marketing strategy. 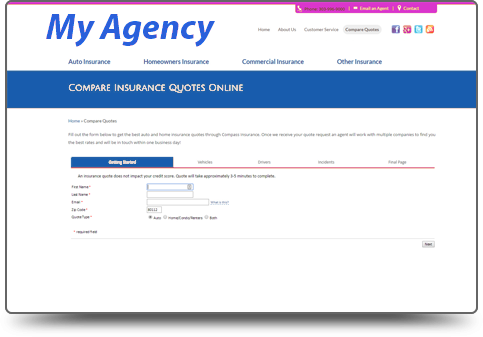 Our team of insurance web designers create beautiful websites that work on mobile phones, tablets and web browsers. Your browser is unable to display frames. 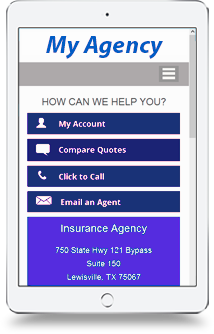 50% of all insurance shoppers are on a mobile device. Our designs automatically adjust to fit all screen sizes. 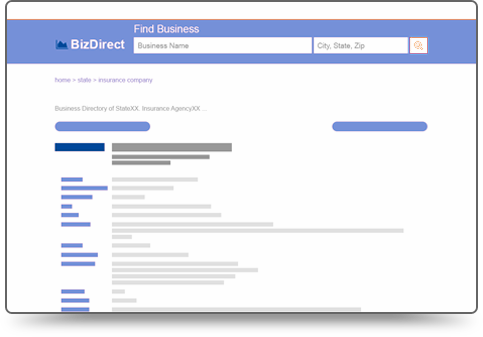 Get found in 50 local online business directories consumers use to find professionals like insurance agents. With 30+ website designs choices and customization to match your branding, you get a unique site. 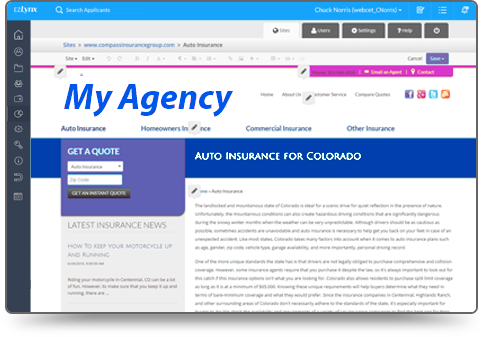 Custom content writing for service pages and monthly blog articles on topics important to insurance shoppers. Quarterly meetings with a website analyst to assess your website's health and local performance. Website specialists walk you through the setup process, host your site, and monitor its performance. As technology experts, we combine our knowledge of local optimization and consumer behavior to improve your local online presence. Our Gold websites are optimized for the latest local search engine algorithms, giving your agency the best chances of being found. 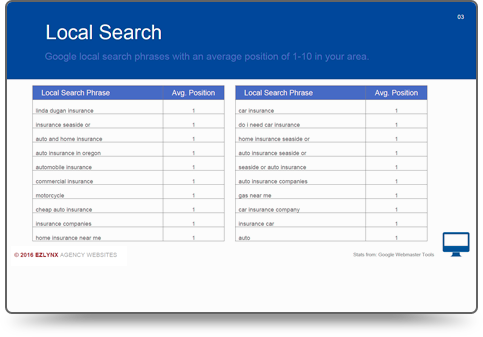 A large portion of people using search engines to find local businesses inevitably find their way to a local directory, so it’s important to make sure your business is listed. EZLynx Social Reach uses social media to place your agency website in front of consumers, creating brand awareness for your agency. We will fully integrate EZLynx Consumer Quoting and EZLynx Client Center into your website, providing a seamless user experience and aiding in the transition of visitors to leads to customers. We walk you through the setup process and help you get your site up and running exactly how you want it. We handle development and branding and even provide suggestions and guidance on best practices for websites in the insurance industry. 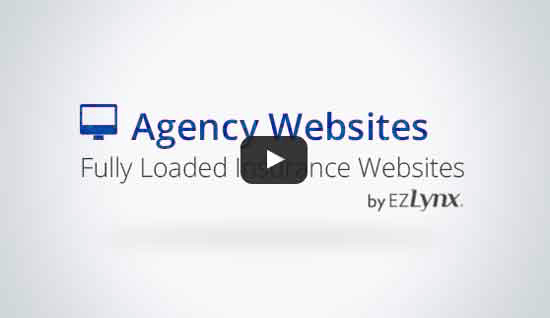 All EZLynx Agency Websites include access to our easy-to-use website editor. 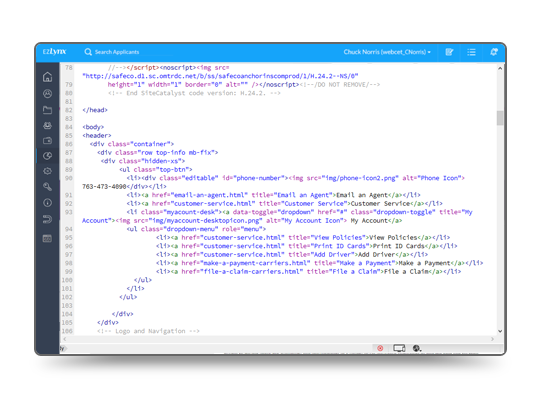 Quickly update your site content without the worry of "breaking" your site by sifting through lines of HTML code. For more challenging edits, let our developers make edits for you with an allotment of quarterly changes. Not a writer? Not a problem. We can provide your site with an initial placement of relevant, custom content for your website. For Gold sites, we create unique blog articles providing a constant source of customized, fresh, insurance-related information, ensuring an active, engaging site for driving visitors. Our Gold website includes quarterly website reviews. 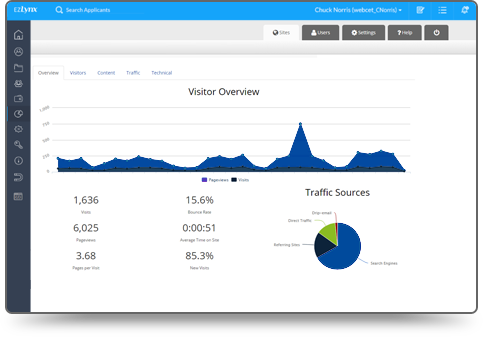 During your quarterly meeting, your analyst will present your website statistics and will answer any questions you may have related to your EZLynx Agency Website. Every day more people are viewing websites on their mobile devices. Our multi-platform designs allow your site to be easily viewed on any device by automatically adjusting to the screen size. Features such as "Click to Call" and "Get Directions" were all designed to convert visitors to leads. 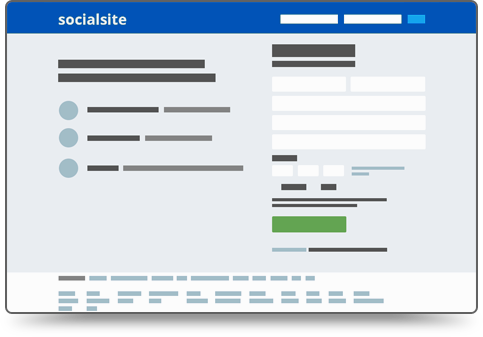 Request a quote for an EZLynx Agency Website.